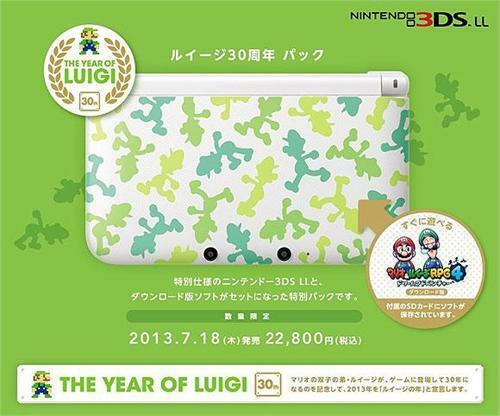 Reservations are welcome for the 30th Anniversary Luigi Nintendo 3DS bundle which includes a specially decorated 3DS handheld and a copy of Mario & Luigi RPG 4: Dream Adventure. 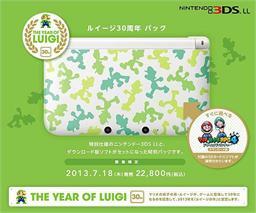 Preorders for the Japanese Nintendo 3DS import Luigi Mansion 2 are welcome to ship on March 20, 2013. As the third Mario & Luigi RPG opens up, contagion has come to the Kingdom. New and factory sealed 'Mario & Luigi Sound Selection' which was offered by Club Nintendo in Japan. The CD contains 33 tracks. In the recently released New Super Mario Bros. U game, Luigi can transform into 'Flying Squirrel Luigi' after running into a Super Acorn which grants him new powers such as wall climbing, gliding, and air jumping.